At our Long Beach facility, our Pre-Press department is equipped to meet any of your customers' needs. We offer full typesetting capabilities and we have the ability to custom design your business forms. For those of you that prefer to send your own files, we have provided some guidelines. Please see Pre-Press File Requirements for sending furnished files. 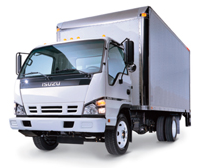 We offer same day local delivery services via our truck to a wide radius of Los Angeles and Orange counties at very competitive rates. Along with our own truck, we have daily pickups from Frank & Son's Trucking, a local carrier, Fedex & UPS, in addition to other common carriers for long haul and pallet rates on deliveries. You can always Will Call your orders or contract you own shipping source via Will Call. No need to pay additional storage fees. 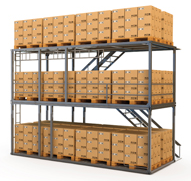 Free warehousing services are available on larger orders. Upon completion, our warehouse facilities can house your customer's product, then released upon written request, usually the following working day. Please contact your Pacific Data Forms Account Manager for more details.